Dedicated to sustainability, VerTerra compostable dinnerware offers a variety of eco-friendly, sophisticated and fairly-priced single-use dinnerware that charms the environmentally and socially-conscious consumer. With its beautiful, natural palm leaf design, and sustainable production, VerTerra puts a unique, eco-chic twist on traditional disposable dinnerware. No trees are cut in the making of VerTerra dinnerware, only leaves that have already fallen and water are used in production. VerTerra is the originator and leader in compostable, disposable palm leaf plates, inventor of the patented collapsible bento box/lunch box and has a line of cheese and charcuterie boards. Lightweight, yet sturdy, VerTerra compostable products can withstand hot and cold foods, and liquids, can be microwaved and are oven-safe. World Association of Chefs Societies (“WORLDCHEFS”) is a global network of chefs associations founded in 1928 at the Sorbonne in Paris. Today, this global body has over 100 official member chefs associations that represent more than 8 million professionals worldwide. Chef Works is proud of its Global Partner status with World Chefs. We believe that there is a place for almost everyone in the world of food. New School of Cooking has been offering its unique, hands-on classes in Culver City, California for 15 years and is widely considered to be the finest artisan cooking school in Southern California. Small class size and and an incredibly talented faculty are the foundation of that success. 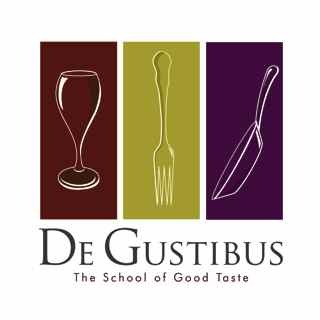 Experience an evening like no other at De Gustibus Cooking School by Miele as you watch celebrated chefs, sommeliers and noted cookbook authors live on stage cooking extraordinary dishes, paired with amazing wines. Our guest chefs are the crème de la crème who demonstrate complete menus, hosted by owner Salvatore Rizzo. We emphasize the techniques of fine cooking while staying on the cutting edge of culinary trends, featuring only the finest ingredients, the freshest products from local markets, all seasoned to perfection. We offer a large selection of culinary demonstration classes, wine focused classes, hands-on and on-location. C-CAP is a national non-profit that transforms lives of underserved students through the culinary arts and prepares them for college and careers in the restaurant and hospitality industry. Since being founded in 1990 by Richard Grausman, renowned cookbook author and culinary educator, C-CAP has awarded $50 million in scholarships and has provided job training and internships, college and lifetime career support, teacher training and product and equipment donations to classrooms. C-CAP works with over 17,000 students nationwide. Through C-CAP’s efforts, a large percentage of its students find rewarding careers in the foodservice and hospitality industry with many alumni, now graduates of top culinary schools, working in leading restaurants and hotels throughout the country. For more information, visit www.ccapinc.org.